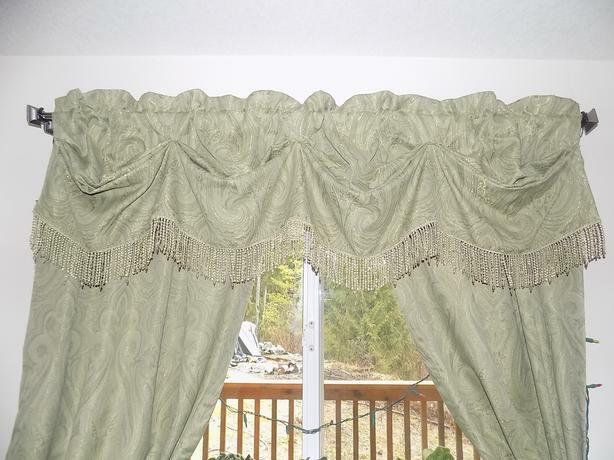 Dimensions (valance): 15-19"L x 84"W. Dimensions approximate as the valance can be stretched to a longer pole, making it shorter. Dimensions (2 curtain panels): 80"L x 84"W in. Fabric content: 85% polyester, 15% metallic thread. Very beautiful softly shimmering fabric.